Interscope pull plugs on Stop Snitchin, Stop Lyin without explanation. After numerous delays, Interscope Records has finally announced that it will not be releasing The Game's DVD documentary Stop Snitchin, Stop Lyin , which follows the rapper across the country as he attempts to mock and discredit his erstwhile mentor, 50 Cent . Although no official reason was given for deep-sixing the DVD, a good guess is that film reportedly shows Game and his entourage engaged in various illegal activities, including trespassing on 50 Cent's property at his mansion in Farmington, Connecticut and stealing a rim from his private basketball court. Another possible explanation is that the film is just lame. Beefs in hip-hop are nothing new, but who really wants to see a feature-length movie of nothing but scene after scene of The Game pulling stunts like organizing an anti-Fiddy march through the streets of New York and putting up "G-Unot" billboards in 50 Cent's old neighborhood in Queens? 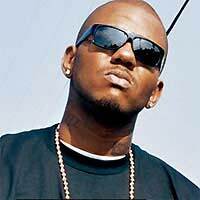 An associate of Game's, DJ Skee, explained it this way to the Los Angeles Times : "50 was on the radio talking about Game and trying to destroy his career. So he thought about what 50 did to Ja Rule . He didn't want to turn out in that same pattern. Ja Rule never responded to 50 and he looked weak. [The Game] did this to save his career." No word yet on whether Game will have the option of finding another distributor for his opus.